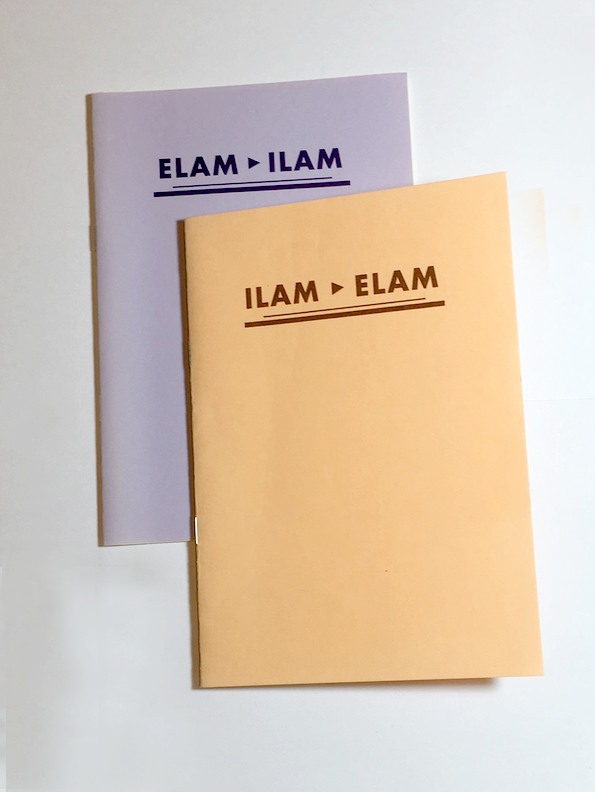 Exhibition catalogues for part one (Ilam visits Elam) and two (IElam visits Ilam) of the inaugural Elam Ilam Postgraduate exchange. A collaborative initiative developed by the University of Canterbury and the University of Auckland, designed to bring together work by honours and masters fine arts students curated by a post-graduate art historian from each university. 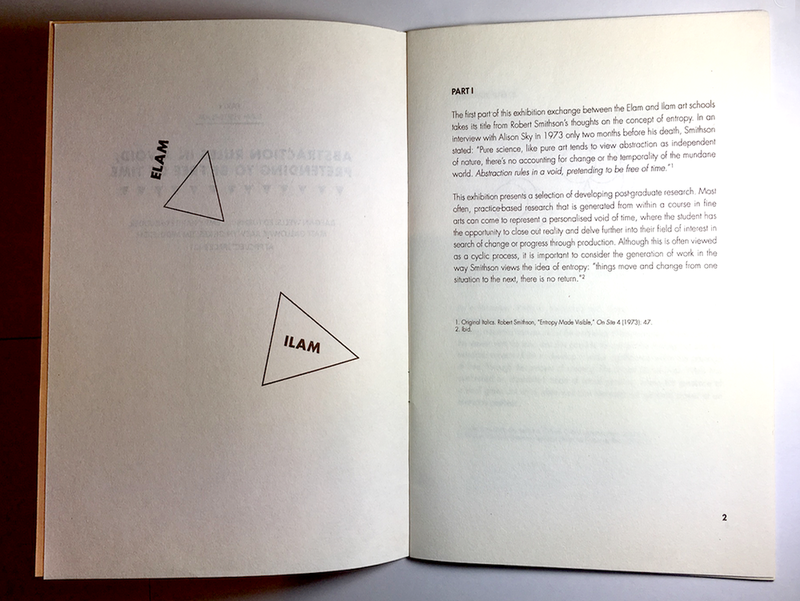 More on part one here; part two was curated by Victoria Wynne-Jones.